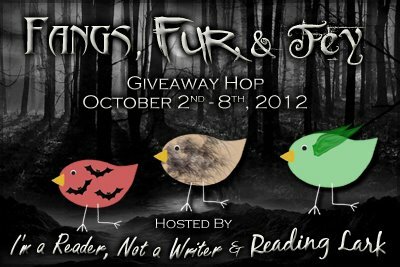 Fangs, Fur and Fey Giveaway Hop! THAT’S RIGHT! It’s another giveaway hop! (One of these days, I should probably slow down with these, right?) But that day is the future. For now, let me invite you to a giveaway with almost 150 blogs participating! It’s hosted by I’m a Reader, Not a Writer and Reading Lark. 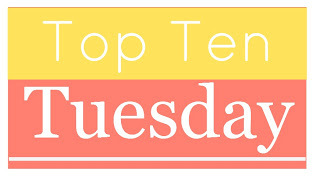 Click HERE for a link to the list of blogs! If you follow my blog, you may or may not know that I’m a sucker for vampire books. (Yes, pun intended. I shouldn’t quit my day job. Anyways.) 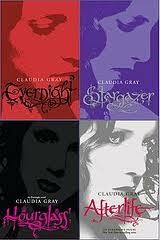 So I decided for my giveaway I’d help you all get bit by a new series – the Evernight series by Claudia Gray! Interested? Then please follow THIS link before 11:59 PM on October 8th! Note that this giveaway is US only.